Is Your Child Being Abused? - The Law Offices of Christine G. DeBernardis, Esq. A common worry for parents often centers around protecting their child from people who prey on children. Most children spend their days away from their parents in the care of others, in school, kindergarten, daycare and so forth. So, what if you suddenly notice changes in your child that concern you? Changes that appear to indicate some form of abuse is taking place? As a divorced or separated parent, what should you do if you are worried is your child being abused? If you notice a change in your child’s behavior, there are several immediate things you should do. Document any repeated physical marks such as bruises, cuts, wounds, etc and get your child medical attention. Make a note of where your child was just prior to your noticing the injury. Who was their caretaker? Who else was in their presence? last. Who was their caretaker? If the changes are not physical in nature, but ones of withdrawal, aggression or other emotional signs, try to recall when these changes began. Did they start with the separation or divorce? Are they recent? Do they appear to involve any specific person or event? Do they line up with any specific life change (for your child or for you)? Again, document what you recall. If your child is old enough, ask him/her about the injuries/changes in behavior. Ask open ended questions and see what your child is able to tell you. Be careful not to put words in their mouth but let them speak. A pediatrician or therapist may help if your child seems very apprehensive or nervous, especially a doctor that your child really likes. Speak to their teachers. They may have noticed some changes they can point out. If there is a bully at school, it can be resolved, either by the school or a legal remedy. Be patient with your child. If there is abuse, your child will be scared. If the abuser is a family member, your child is going to be scared that the abuser will find out that the child told and things will get worst. Make sure your child knows that you are not going to be mad at them. Promise to love your child regardless of what he or she tells you. This is very important. Your child may have guilt over whatever has happened because abusers are very good at instilling guilt into their victims. “See what you made me do!” or “If I get caught, it will be your fault”, etc. If the abuser is your ex-spouse or someone who has visitation rights, contact an attorney for help on protecting your child. Do not jump to conclusions. Remember that children do get injuries just from being children and playing but if you see repeated bruises or injuries that are more extreme, your child should visit a medical provider for attention. Don’t promise your child that you will not tell anyone if they divulge their “secret” to you. Depending on the nature of the abuse, this may not be a promise you can keep. You may have to involve a number of people, including the police. The last thing you want to do is betrayed their trust. Do not try to intimidate your child into telling you what is going on. They are already dealing with fear. This is the last thing they need right now. Do not bring in other people to see how the child reacts and try to find out who harmed them. This can do your child serious harm. Do not put words in your child’s mouth. Let them speak their mind. Do not sweep this under the rug and act as if it never happened or minimize what you are seeing. If you truly believe you see a problem, reach out to someone else for an objective opinion. You need to get some help for your child. That is your responsibility as a parent. 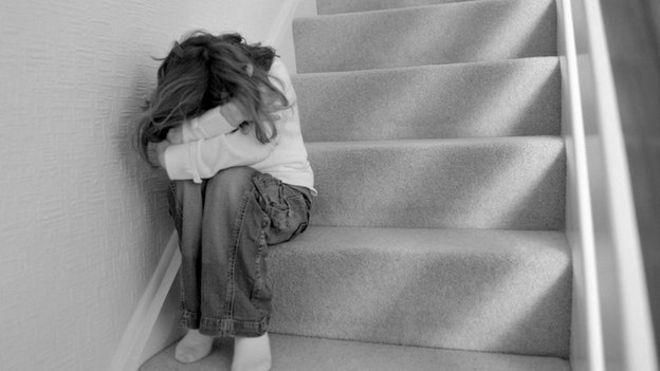 If you find out who has abused your child, do not allow them to be alone with your child. If it is your ex-spouse, contact an attorney and find out what you need to do to protect your child. 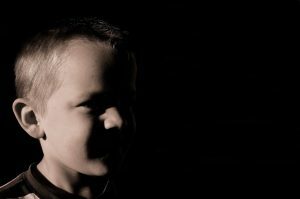 Discovering that your child has been the victim of any type of abuse is one of the most traumatic things a parent can endure, however, the child will need you to be his or her strength and voice. As much as it hurts, as angry as you will be, it’s critical that you document what you find and allow someone else to fight the battle for you so that you can be there for your child. If you are concerned about your child’s visitation with someone who may be harming them, contact my office. We will discuss your options in confidence with a free phone consultation to make sure I am the attorney for you.